Work on extending the car parking spaces at the Gelder Group’s Head Office (Tillbridge Lane, Sturton-by-Stow) are well underway. 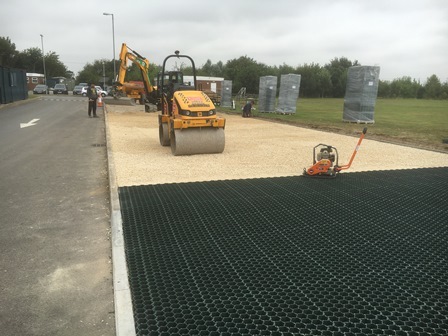 The new permeable paving system will allow the grass to grow through interlocking honeycomb plastic grids to provide a sustainable, free draining parking area that will predominantly be used to store plant, machinery and vans. The new extension will free-up many existing car park places.